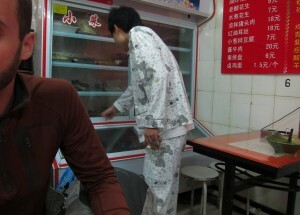 We’ve seen pajamas worn publicly all over China by the young and old in both rural and urban areas. Apparently it became hip in the 1930’s when it was a sign of being wealthy. It was, um, fashion from the West after all! The trend caught on and is still around to this day. Afraid of what foreigners would think of pajama-clad locals, the Shanghai government launched an anti-pajama campaign in advance of the 2010 World Expo. We did see less PJs there but it’s hardly abolished. 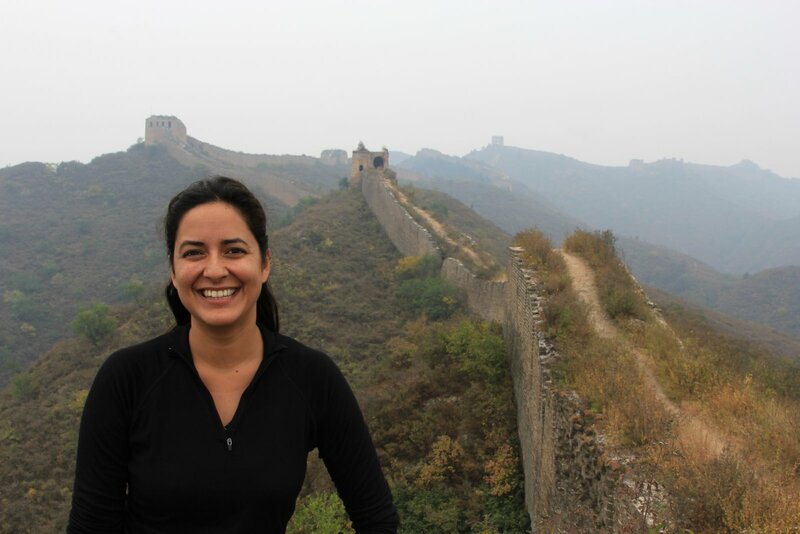 My favorite, though, was in Beijing. Spreading-out from the city center are Hutongs — alleys that run east to west in historic neighborhoods. And there were PJs everywhere. In the Hutong where our guesthouse was there was a little noodle restaurant that we often frequented. One night in walked this young guy to have dinner with his friend; his fuzzy teddy bear PJs cracked us up more than most. 1. Because space is at a premium and people have come to think of the sidewalk or street outside as an extension of their living space. And of course you’d wear your PJs on your porch. D’uh. 2. To let other know they’re close to home. Particularly popular in expensive Beijing neighborhoods and hutongs close to the city center, people want passersby to know that they are close to home and are one of the lucky few who live “here”. So, naturally, teddy-bear PJ guy was just letting us know that he was close to home. After all, no one would go to a restaurant in a different neighborhood in their PJs. Jeez! Waiting for food in PJs.